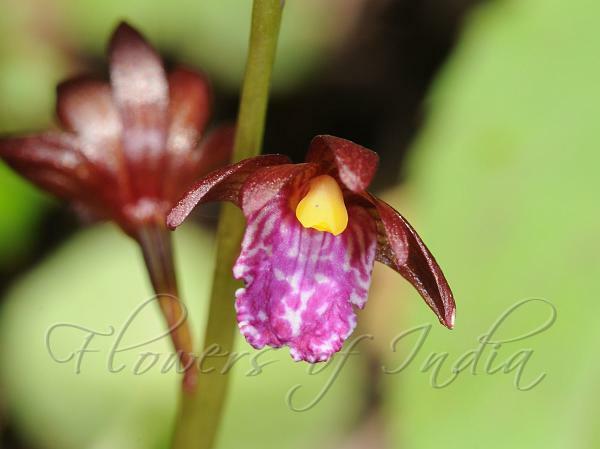 Indian Oreorchis is a terrestrial orchid found in the open meadows, dappled shades and cliff sides, in the Himalayas, from Utarakhad to NE India, at elevations of 2500-4500 m. It is a medium sized, cold growing orchid with corm-like pseudobulbs carrying a single, apical, oblong- lanceshaped, pointed leaf that narrows at the base into a short stalk. The plant blooms in the spring and summer on an erect, 30 cm long, up to 10 flowered inflorescence enveloped in the lower half by tubular bracts with the flowers all held in the top portion. The species name foliosa was applied when the species was included in the genus Corralorhiza and it was a rare, leafed species. 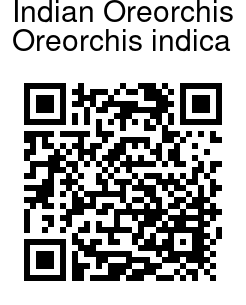 On the other hand, all Oreorchis have leaves, so the species name is a bit meaningless.